Describing the UN23H4000 in great depth would simply take too long, so we are going to be focusing only on the TV’s major features in this article. If you are looking for a TV with absolutely dazzling picture quality that has the ability to turn your TV into a small movie theatre then you came across the right model. 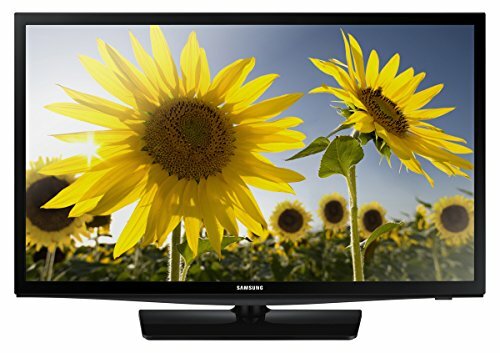 Samsung has always been one of the leaders in LCD TV industry, and it’s only natural that their TV’s have a high acclaim from anyone who had the chance to enjoy the experience. The UN23H4000 doesn’t deteriorate from that path. In fact, Samsung has sort of stepped up their game with this model, bringing an absolutely beautiful piece of technology to its users. The specs are not over the top, but the way everything is incorporated in this model makes it a great choice. The 720p resolution might seem a bit on the low-side, but the TV of this size (24″) doesn’t require more, some even argue that the images viewed on the UN23H4000 are comparable to those viewed on Full HD TVs (1080p). The size of the TV makes it a perfect choice for gamers primarily, as well as for everyone who wants to fit a great TV into a smaller living area. Clear Motion rate 120 gorgeously enhances the experience of watching action packed content and sports, while the Wide Color Enhancer backs everything up by providing a wide color spectrum, making them appear more vibrant and vivid complemented by sharp lines and very deep blacks. When it comes to sound, the DTS Studio Sound brings a great range of sounds and provides a great sound experience, especially for a model of this size, so no additional speakers are required in order to get that perfect tone you are looking for. Some downsides might be that the TV lacks Smart TV functionality, which kind of became industry’s standard in today’s market. However, TVs of this size do not usually come with an abundance of features like their larger counterparts, so this is completely expectable. However, a thing that people looking to play video games on this TV might find disappointing is that the UN23H4000 has a 60Hz refresh rate, a rate that gamers aren’t too fond of. Another noteworthy thing is that this TV features 2 HDMI and 1 USB port which is more than enough for a device of this size. Lack of some features is compensated by an extremely low price of this model though, which is one of the major selling points of the model as the user is definitely receiving their money’s worth.